It has been 4 years since Geoff Achison last toured in Europe but he is now ready with renewed zest and a brand new album "Another Mile Another Minute". He is supported by his "UK Souldiggers" - internationally acclaimed drummer Sam Kelly ( Cymande, Roger Chapman, Gary Moore, Chaka Khan, Madeline Bell), keys man Paul Jobson ( Boney M, Hamish Stewart, Linda Lewis, Bad Manners, Noel McCalla, and the Anti Nowhere League) plus bassman Andy Hodge ("We Will Rock You, Raw Glory, Bootleg Blondie). 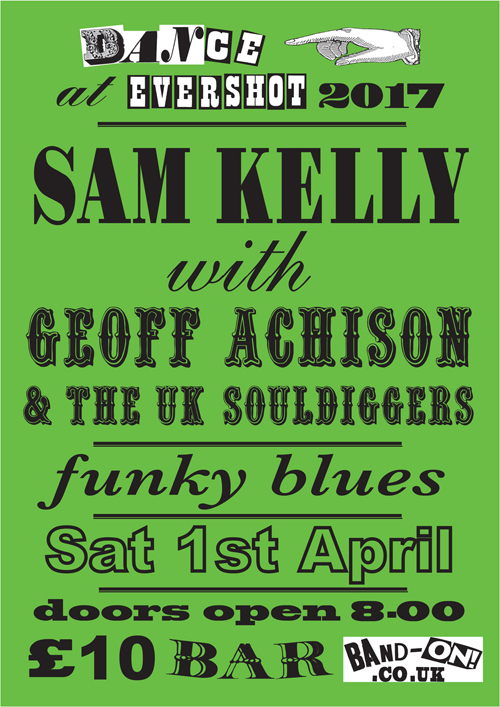 As highly regarded instrumentalists Geoff and his band present a show that is rich in blues history yet irresistibly dancable with heartfelt soul and contemporary funky grooves.